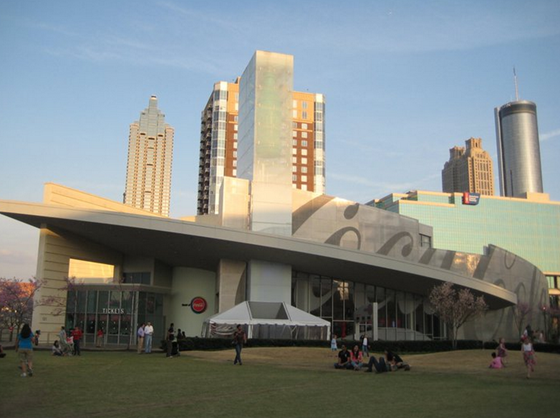 Atlanta Getaway — Sweetchic Events, Inc.
My favorite part of the Museum… the tasting room! 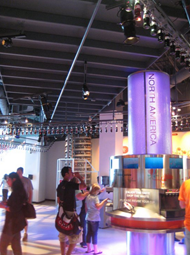 It was a serve-yourself soda fountain where we got to try over 60 Coke products from around the world. Talk about a sugar high!! Cherry blossoms were in full bloom ALL over Atlanta… it was stunning! 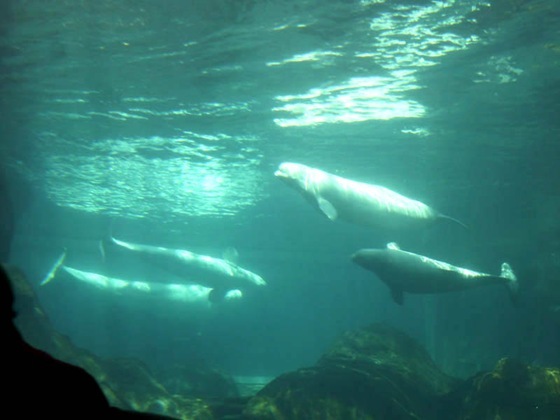 I had no idea that the Georgia Aquarium is the largest aquarium in the world! 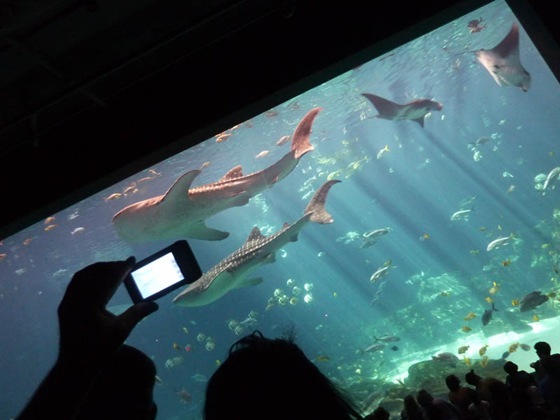 Along with being the biggest, I thought this was certainly the best Aquarium I’ve been to! That night, we went to see Peter Pan, a brand new take on the classic story set in an amazing 360° theater, complete with “dazzling flying scenes and the world’s first 360-degree CGI theater set”. To be honest, there was too much unnecessary dialogue and it was a bit long, but definitely not a bad show… it’s coming to Chicago starting April 29th! We all loved the Atlanta Botanical Garden, located right on the outskirts of downtown. I was completely obsessed with these Mount Tacoma tulips!!! 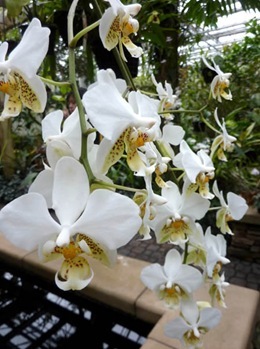 Their Fuqua Orchid Center housed the most gorgeous orchid collection! I got a recommendation for Sublime Doughnuts, the “best doughnuts in town”, so we had to hunt them down… and they were delicious! Especially the A-Town Cream…. MMM!! That night we tried Community Q (another recommendation from Twitter!) for some southern BBQ. Seriously the biggest beef ribs, and some amazing beef brisket!! 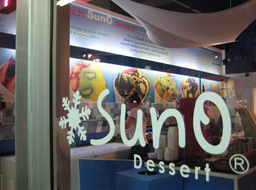 During our 4 days in Atlanta, we visited SunO, a shaved ice shop, THREE times!! The morning before we left, we checked out the Atlanta History Center, also a great place to spend a few hours. We didn’t have nearly enough time, but I loved the tour of the Swan House mansion, which was on the Center grounds. And then it was time to head to the Airport. I’d say we definitely saw A LOT during our brief stay, and we would definitely go back! Have you been to Atlanta? What are your Must-Sees/Must-Dos/Must-Eats? !